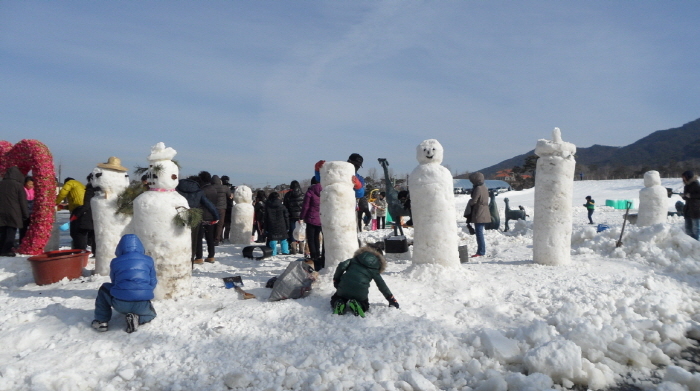 Jirisan Namwon Baraebong Snowflake Festival is held for around 50 days in the area of Herb Valley and Baraebong Peak in Namwon-si, Jeollabuk-do. 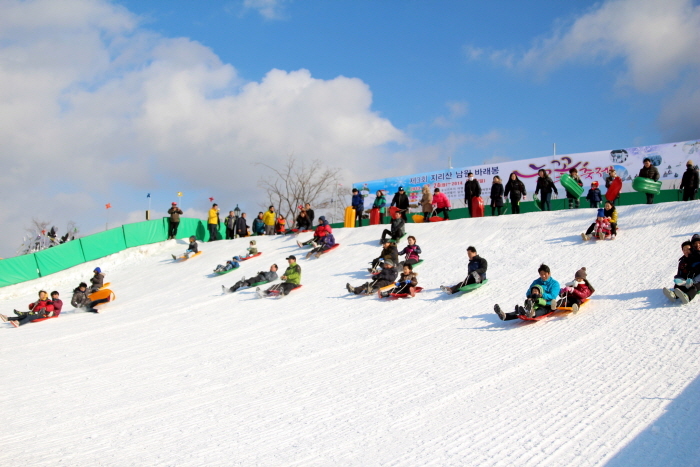 Organized by Unbong Aehyanghoe and Unbong-eup, the festival features a variety of winter activities including ice and snow sledding, snowman making, snowball fights and a kite-flying contest. 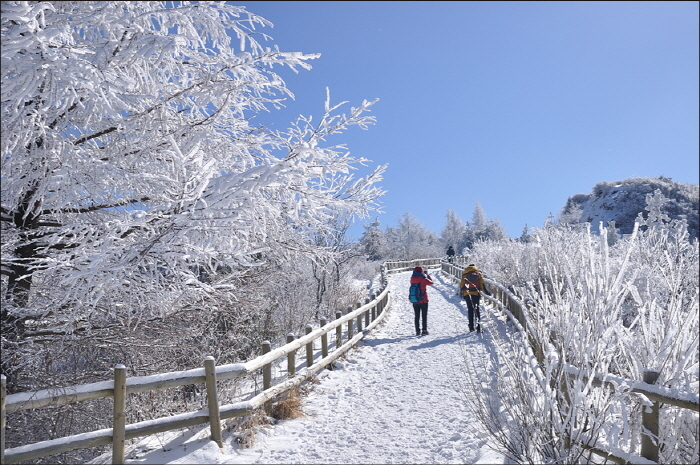 Unbong Herb Valley boasts spectacular snow-covered fields due to its high altitude that keeps the snow from melting. Visitors can also have some baked sweet potatoes while taking a break from the activities. 10:00-16:00 * Festival dates subject to change depending on weather conditions. From Central City Terminal, take an express bus bound for Namwon Express Bus Terminal. Take a train from Seoul Station or Yongsan Station to Namwon Station. Approx. 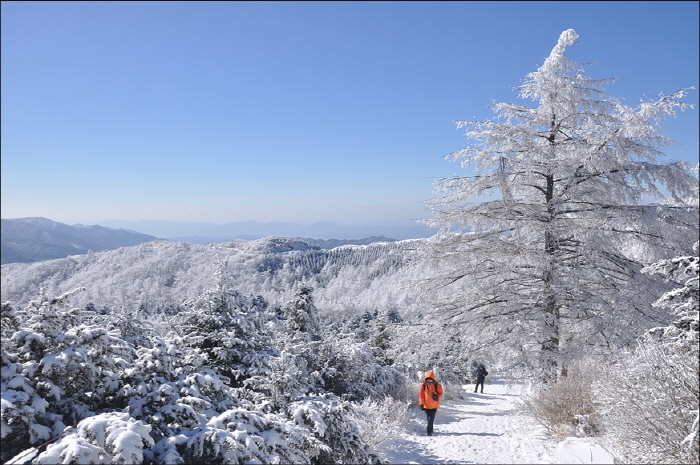 30min from Namwon Express Bus Terminal. Approx. 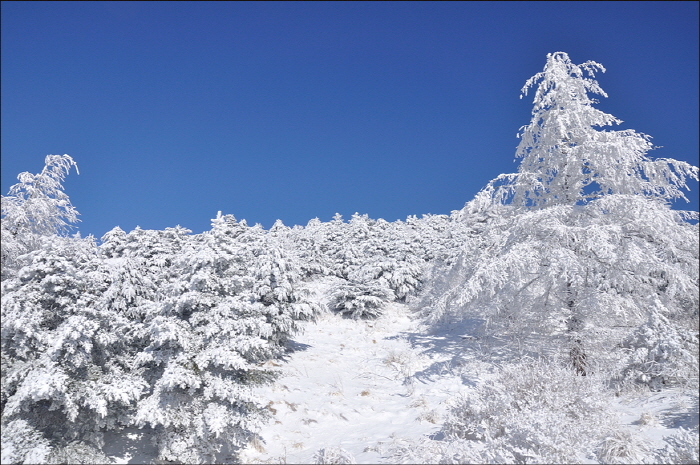 35min from Namwon Station.